All in a days work! Here's a sneak peak of our marketing team wrapping up your Eggstatic Easter Raffle prizes! Need to escape the wind and grind and relax in the surrounds of the Southern Alps? Throughout the month of March we are giving you the chance to win our Ultimate Queenstown Escape for 2! Draws every Friday from 7pm with entries received for every $5 turnover in gaming or $5 spend in all food, beverage & bingo outlets. Open to members only. Its back bigger and better than ever…. Dragons Fortune 2 Major Promotion hits our club in February giving you the chance to conquer the Dragon to win the $250K Fortune! Open to members only. T&Cs apply. Claim your stake in the $25,000 Dollarydoos this month! Drawn every Sunday from 2:30pm with entries received for every $5 turnover in gaming or $5 spend in all food, beverage & bingo outlets. Open to members only. 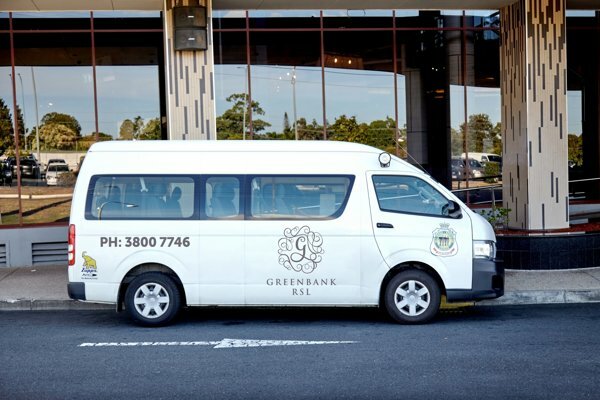 Linus Power, Member For Logan and Leanne Enoch Member for Algester talk about the positive changes the upgrades on the Park & Ride at Greenbank RSL will have on the local community. Wheel or Deal is the question on our lips this November! Fancy driving away in a brand new MG3 valued at $15,990 thanks to our friends at Southside MG OR will you take the $10,000 cold hard cash? The choice is yours, what will it be? Experience the glitz and glamour of Las Vegas with a trip for 2 this month! Take the gamble with playoffs every Friday from 7pm. Receive one entry for every $5 turnover in gaming or $5 spend in in bingo, food or beverage outlets. Terms & Conditions apply. Cast the sails and cruise your way to your dream destination the Great Barrier Reef! This is your chance to share in a huge prize pool valued up to $30,000 with draws every Friday from 7pm. May your days be filled with magic and cheer this Christmas in July! Join in on the fun with a $25,000 cash giveaway - it all depends if you have been naughty or nice! T&Cs apply. Watch the excitement from our Car Ching promotion in June 2018 as our lucky contestants test their key in the car to unlock the ultimate prize!